Facebook CEO Mark Zuckerberg had faced Congress for the breach of privacy and security of millions of Facebook users. This breach was carried out by big data mining firm Cambridge Analytica, and through it, they gained access to unquantifiable amounts of information about millions of users in the United States plus a smattering from around the world. However, most people are wondering exactly what information was stolen and what it means for them. The following information should help decide exactly what information was lost, how it was gained, how you can protect yourself in the future, and most importantly - how to render that data worthless. The core of Cambridge Analytica’s business model is an algorithm that uses your activity on Facebook including likes, shares, and how you responded to various personality assessments to analyze your personality. They based it on the “big 5” personality traits used in personality testing. All you needed to do was install an app, or your friend needed to install the app, and the data was scraped from there. The algorithm in question is almost frightening in its level of accuracy, and its ability to divine your personality from this information allowed for the creation of advertisements used in the 2016 presidential elections. The intent of all this was to influence your vote. Whether or not it actually worked is difficult to say. 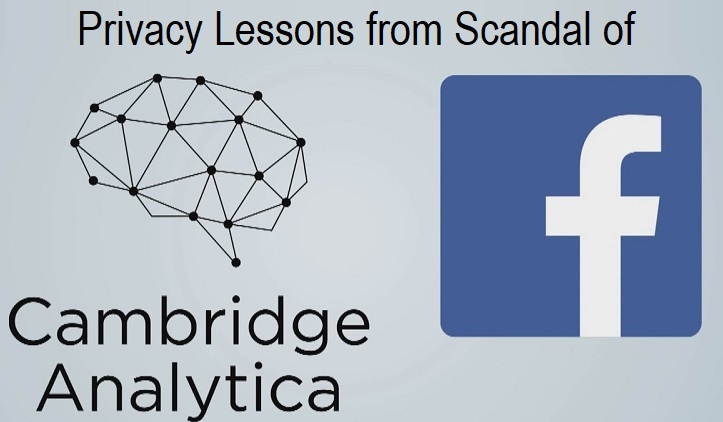 Given the potential power of the data gained in the Cambridge Analytica breach and the low likelihood of meaningful action, it falls on the consumer to figure out how best to protect themselves in the future. As mentioned previously, this all came from an app, so the obvious first step is to be careful about what Facebook Apps you use in the future. Be suspicious of anything that wants to access your account. Since this information could also come from friends using the wrong app, you also have to adjust your privacy settings. Be careful about who you share with and make sure that those you friend on Facebook are also using good privacy practices. What is that Information Worth Anyway? The value of the information claimed by Cambridge Analytica is only the value of your reaction. The easy solution is to just ignore everything in an ad, but not all advertisements are so transparent. Various forms of marketing exist to try and manipulate you on various levels, and even a news article may have an agenda behind it. So how can you best ensure that information is worthless? It ultimately requires a fundamental change in how we process information. Most people are already good about taking claims in commercials with a grain of salt, the hard part is adjusting that mentality to news organizations (yes, that includes your favorites) and articles shared by friends. Be skeptical of everything and dig up sources. All information comes from somewhere and if somebody makes a claim that can’t be supported, give it a healthy dose of skepticism. Thankfully, this particular breach didn’t result in personally identifiable information being lost. However, the information you leave all carries value to somebody and you shouldn’t give it up unless you know what you’re getting in return. Remember - if it’s free, you’re the product. If you happen to own a business and want to protect your customers from the fallout of information breaches, the best way to do it is through apps like Cognito which help protect your customers from the negative impact of a data breach.